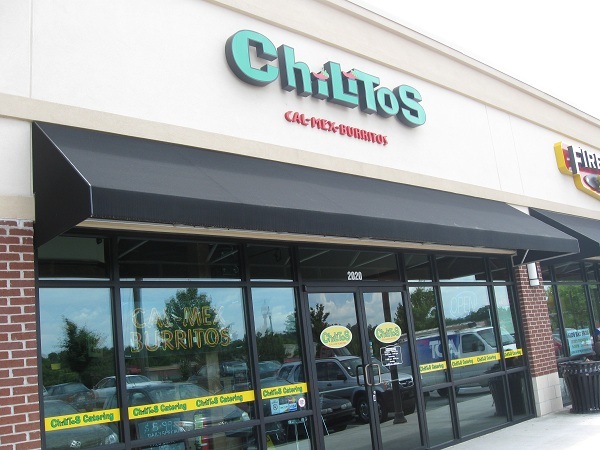 Chilito’s, Kennesaw GA (CLOSED) – Marie, Let's Eat! Wednesday was one of those rotten days full of delays and lane closures and slow drivers. Contrary to what you might suspect from this food blog, Marie and I do eat in more often than we go out, although in my case, since she’s the wizard in the kitchen, it often means sandwiches and leftovers. However, I do allow myself one lunch out a week, and I was looking forward to it that morning. My destination was, typically, closed. Then it was every student driver and testing failure in Cobb County getting in my way as I headed home to reconsider my options. I was listening to Contra, the new album by Vampire Weekend, and it cycled back around to the opening song, “Horchata.” That reminded me that I hadn’t been by Chilito’s in an incredibly long time. They brew up some really good horchata, but I was in the mood for sweet tea. I mention it just because I wouldn’t have even thought about the place were it not for that song. You don’t see many restaurants like this one opening anymore. It’s a remnant of the “gourmet burrito” craze that started in the late ’90s and lasted for about a decade. There are certainly a few regional chains that I don’t mind at all – Barberito’s, Qdoba and Willy’s all serve reasonably tasty food – but the better examples of single-store ideas didn’t last long. Raging Burrito in midtown was very good, and I also quite liked Extreme Burrito, which lasted for maybe nine months on Baxter Street in Athens. I’ll always remember an incident there in the spring of 2000 when a friend of mine who would probably prefer to remain nameless started flirting with the waitress there and I suddenly understood why that reporter bellowed “Oh, the humanity!” when the Hindenburg caught fire. I think that Chilito’s tried to become a similar regional chain, but it didn’t get very far. Its first store was on Bells Ferry Road near I-575, perhaps in 2005, and closed two years later. This one opened in 2006 in some unnecessary identikit development on Chastain Road and has been hanging in there for a while, mainly serving the Kennesaw State University community with promotions and student-targeted discounts. I’m not aware of any other expansion, and the restaurant’s website is, shall we say, unhelpful. At any rate, Chilito’s is kind of like Moe’s, only not terrible. (“Always remember, kids, you can’t spell mediocre without m – o – e!”) You walk down a line having somebody on the other side of a sneeze guard slap various ingredients onto your tortilla or shell. You hope that the tortilla has not been steamed so long that it’s trapped water, and that the cilantro has been diced finely enough so that you won’t be picking a stem out from between your teeth, and you bristle that you have to pay an extra forty cents for corn. You go get salsa, some of it quite good and some of it blandly inoffensive, from another little bar with a sneeze guard with little plastic cups that are too darn tiny to be much good. There is nothing remarkable about this place, and you leave equally grateful for a low-priced meal with a “buy ten get one free” bribe card as you do for the quality of the food. Chilito’s offers fish tacos and these are, honestly, very good. I should probably get away with eating these more often. Honestly, though, the reason I haven’t eaten at Chilito’s often enough to fill up a bribe card in under four years is simple: my kids can’t stand the place. I don’t know what it is they find objectionable, beyond just a general thought that it’s “yucky,” but the psychologists tell us that children’s minds are still cooking and not fully formed yet. I try to remember that when they occasionally protest that they’d really prefer mediocre Moe’s to a nice Chilito’s fish taco. Posted on May 28, 2010 July 29, 2017 by Grant G.Posted in atlanta, georgia, goodbye, local chains, mexicanTagged atlanta, closed!, georgia, kennesaw, local chains, mexican, mexican - california-style. Chilito’s closed in December 2014. 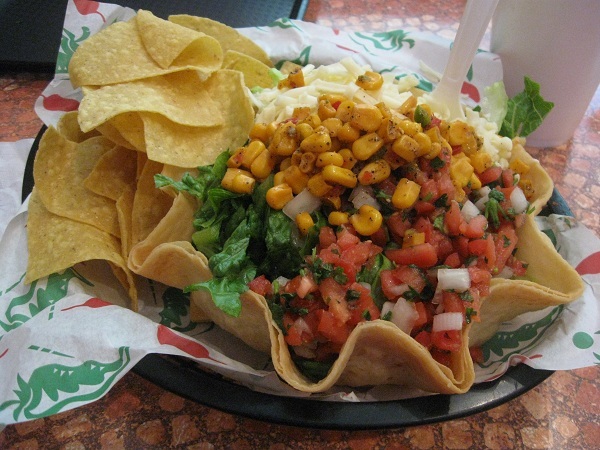 Pingback: Del Taco, Kennesaw GA – Marie, Let's Eat!